That's how we say it in Texas - nekkid. 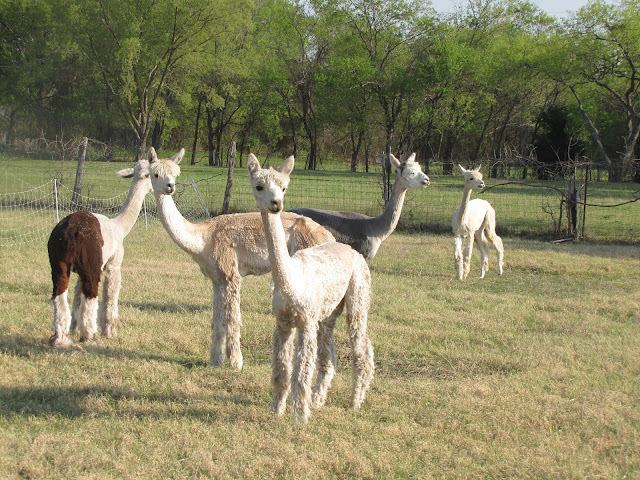 If you're talking about alpacas, it means we've taken off all their beautiful, soft, spin-me-NOW fiber. 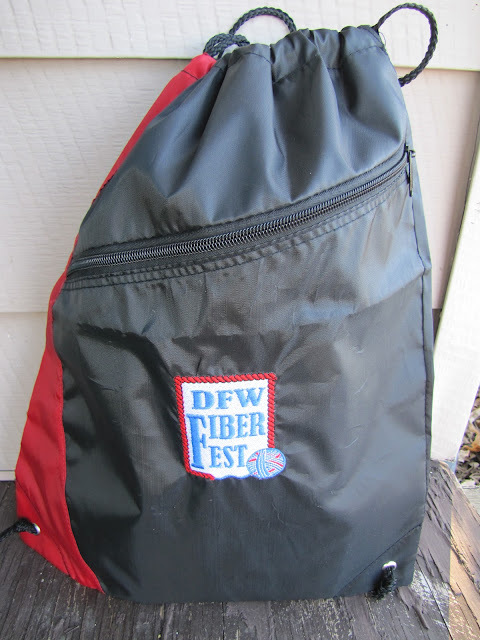 It happens once a year, and it's the pinnacle of the fiber CSA cycle. 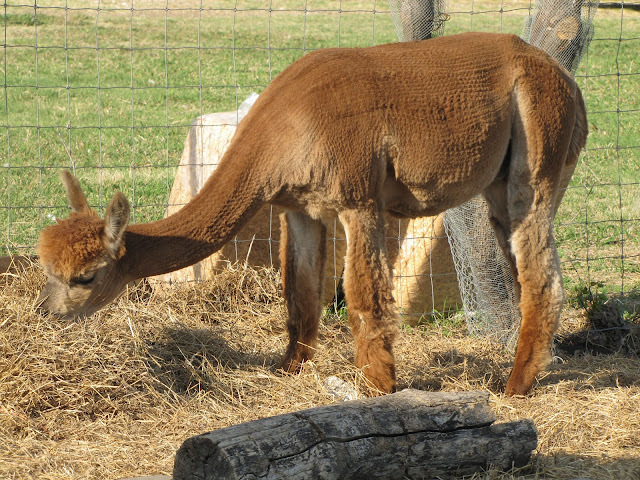 We still have to clean and process it, but getting the fleeces off is a big hairy deal--pun intended. New Zealander, Mark Loffhagen, has been shearing alpacas for many years, and sheared about 7000 alpacas last year alone. He knows his stuff. 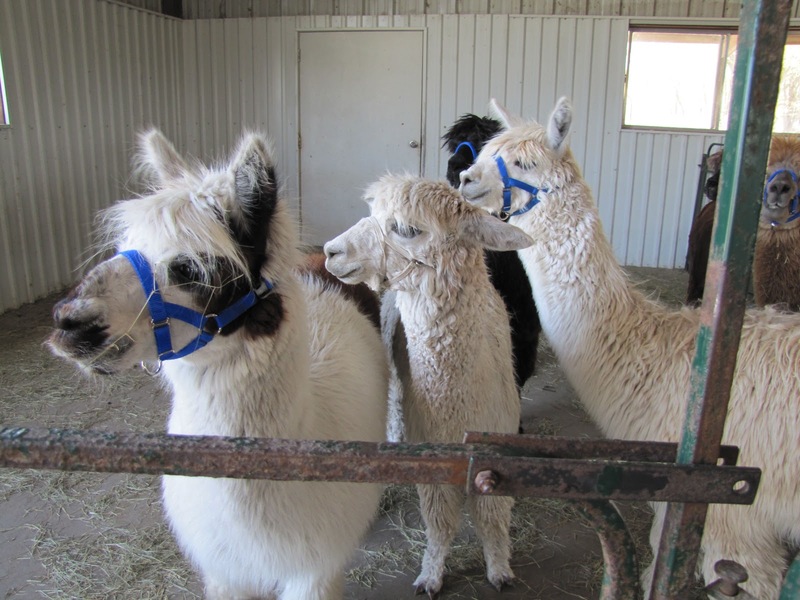 The boys have a bit of anxiety as they stand around waiting for their haircuts, after a long trailer ride up to the McCroskie ranch. 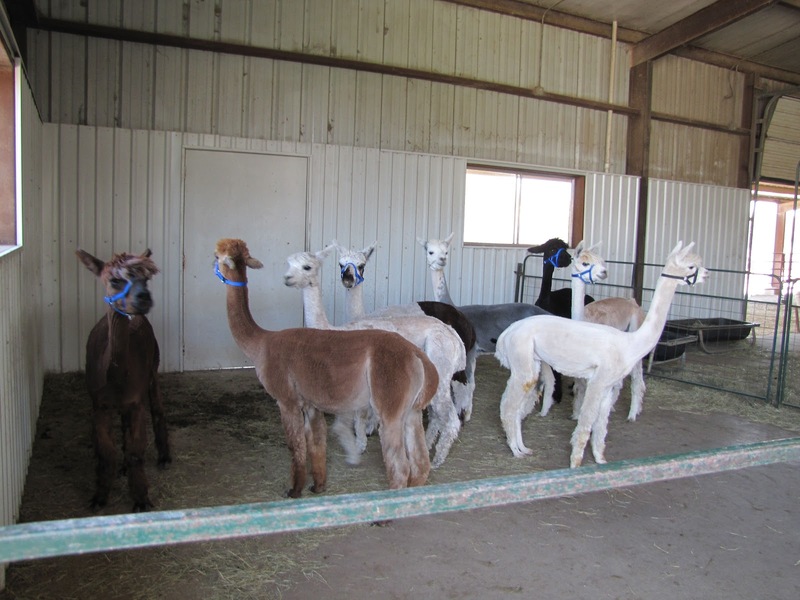 But (BLINK) before we know it, all the boys are shorn clean and their beautiful fiber is bundled neatly in bags, ready for the next step. 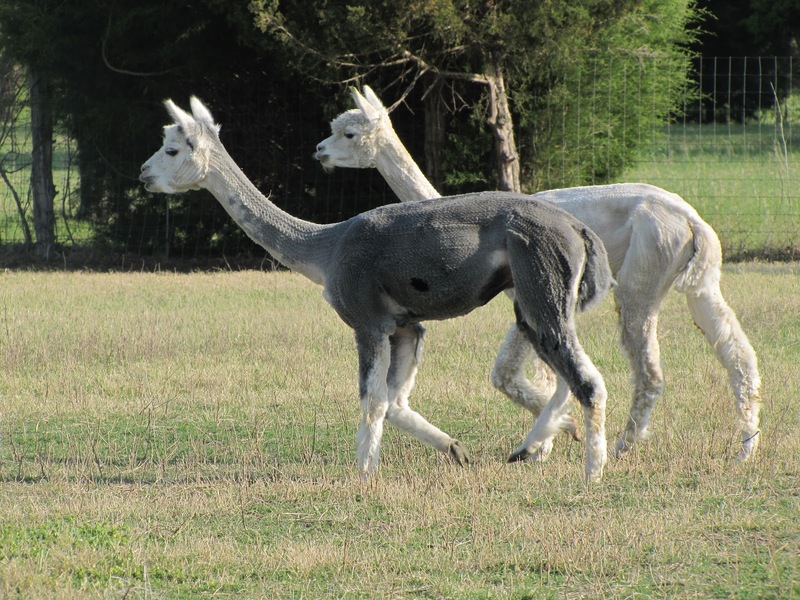 And the alpacas are so much more comfortable, now that we are headed into a nice warm spring. 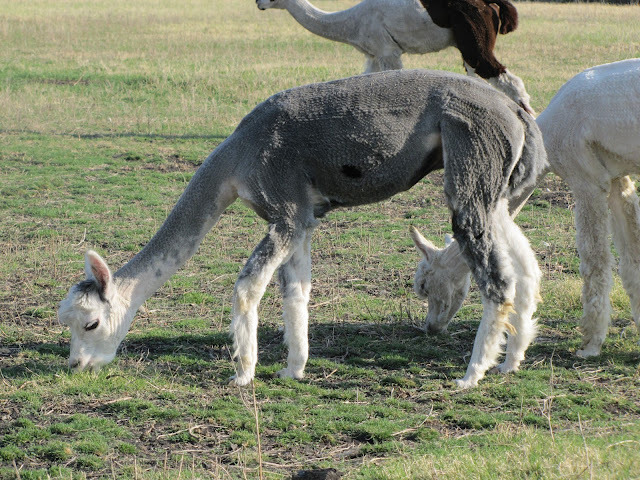 Here's one of our two new boys - Asher, who adds the coveted gray fiber to our harvest. He's a really nice boy with a gentle personality. Shearer Mark is so fast and neat, that the boys are hardly aware of what's going on before they're back up on their feet enjoying the feel of cool air on their skin for the first time in a long time. Moonstruck, especially, looks kind of little without his big fluffy fleece to give him an imposing presence. The two new boys are sticking together, which is totally understandable. It's good that we brought them home on the day that the whole herd was sort of unbalanced by getting sheared. They almost don't recognize each other. It puts the new boys on a more level playing field. They do seem to like their new pasture. Sometimes, doing chores day after day, rain or shine, cold or hot, gets a little repetitive and tedious. But I'm always really refreshed by the sight of newly sheared alpacas, with their cartoon character necks and limbs making them look so delicate and sweet. I'm inspired to do a bunch more halter practice with them, to make them easier to handle through the year, and ultimately, more valuable. They just look so... exotic. And now, the urgency to get the fiber skirted and clean is on me. What a sweet responsibility. Let's do it! 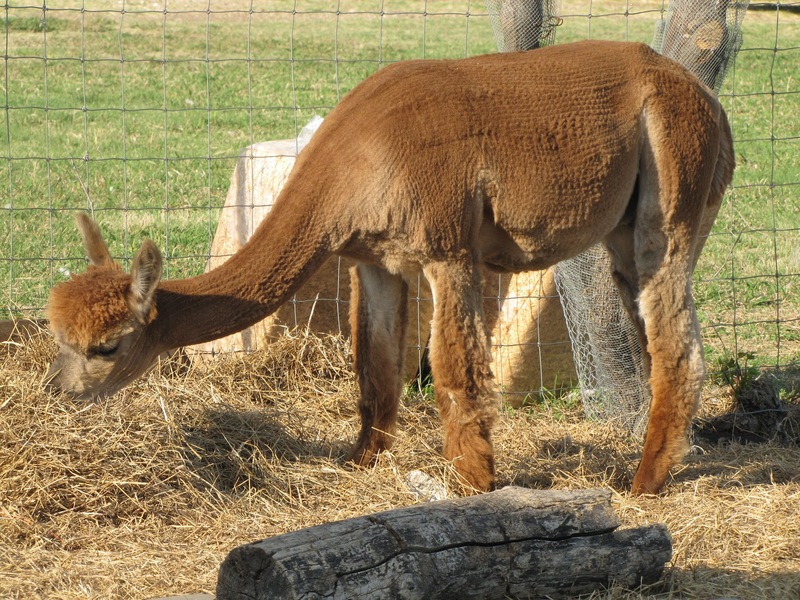 The alpacas look so adorably scrawny without their thick fleeces! OM, the vid of Levi getting sheared, he looks like he was drugged, he was so 'pliable' when they rolled him. I'm in the same boat as Anna. I still have a share from JMF... How do you do your share? Is is all processed or can one get a share that's just been 'cleaned' a bit? I learned to spin on greasy carded wool and don't particularly like to spin roving. Of course it could be lack of practice, but... Anyway, thanks for the pictures! Oh ! 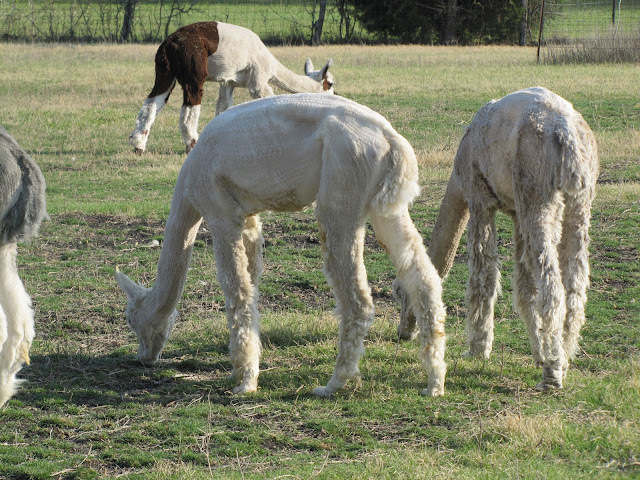 I can hook you up with a spinner whose eyes roll in the back of her head when she spins alpaca...One share is not enough for me and I look for fleeces to buy. Bring it on! 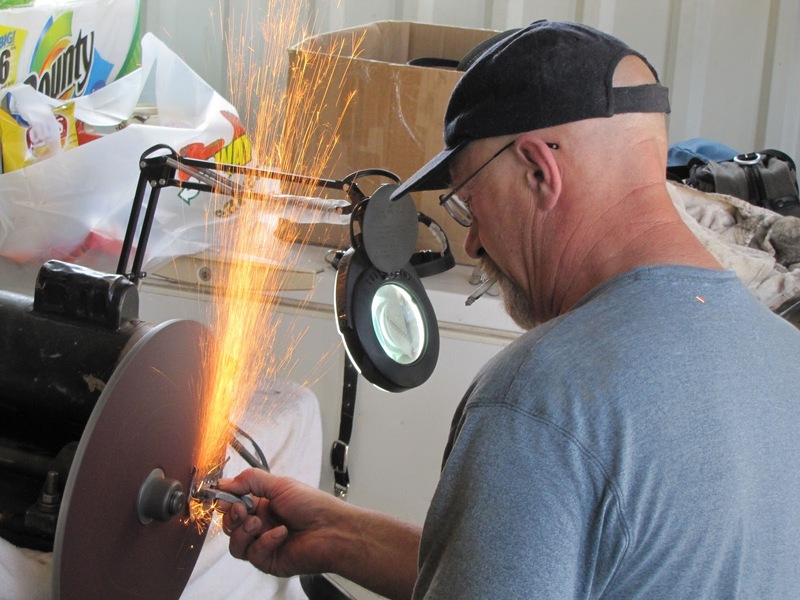 For me, the gift of being a shareholder means I am a "living stone" in the foundation of this farm. Thank you, Cindy ! LOVELY WORK, Boys!